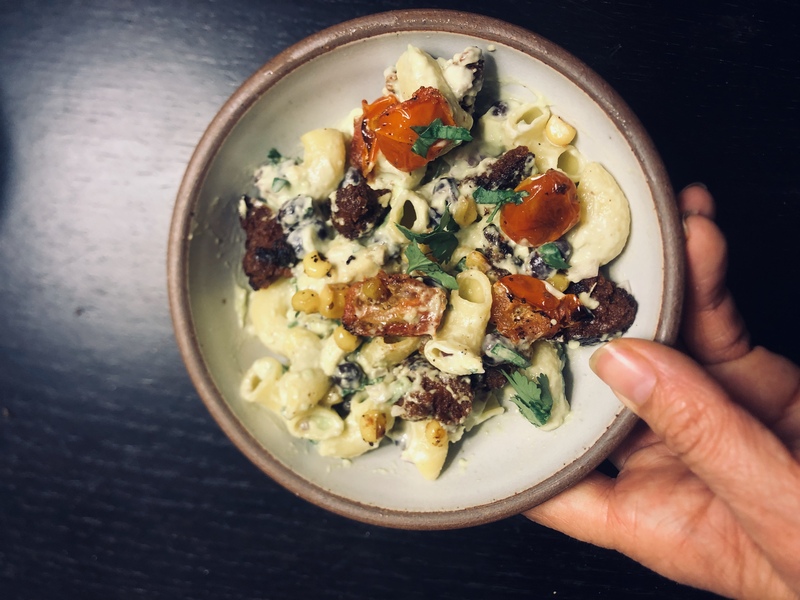 This ain’t your mama’s pasta salad*! Loaded up with spicy chorizo, black beans, roasted corn, tomato, avocado and red onions, this dish packs a punch and is sure to make you legendary at the next potluck. *If your mama has crazy-good taste, this might be similar to her pasta salad. 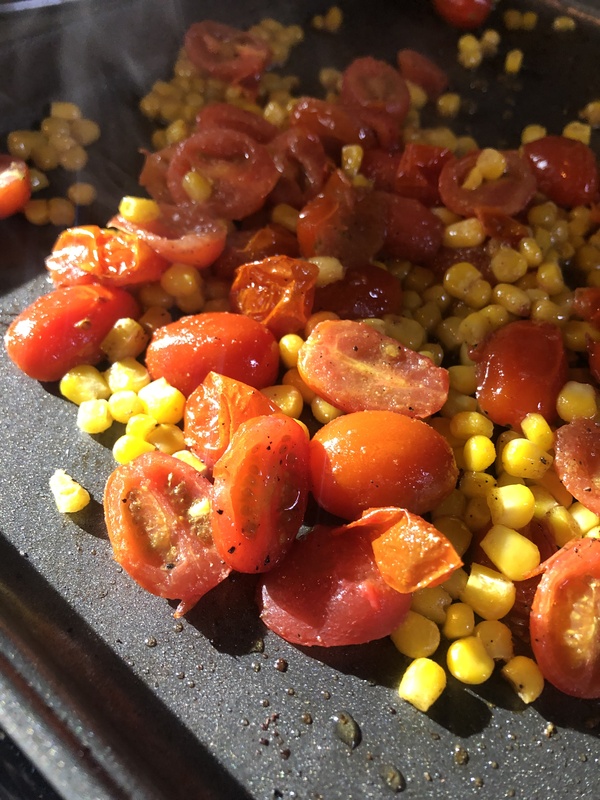 Coat corn and cherry tomatoes in oil (we used 3 T EVOO), cumin, salt and pepper. Roast in oven at 375 degrees for 20 minutes. Cook pasta al dente according to package instructions. Set aside to cool. Fry chorizo in oil over medium high heat until brown and crispy. 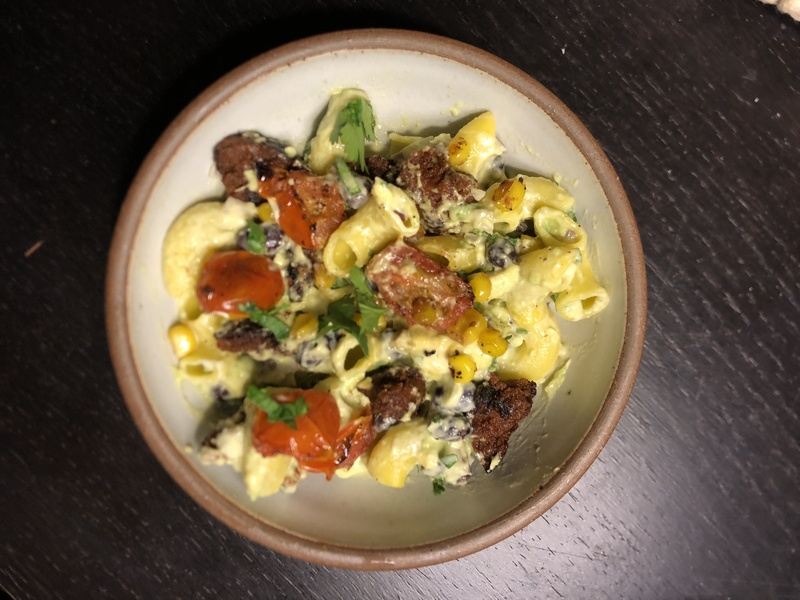 Combine cooked pasta, black beans, red onion, cilantro, roasted corn and tomatoes, and chorizo, v mayo, smashed avocado, and lime juice. Season to taste with salt and pepper.